Forest Heights in Athens, GA is one of the "Classic" Athens' neighborhoods. Although Athens is known as the "Classic City," we are using the word in the sense where "classic" means that there is an attraction that has been established over a period of time and that there is a perception of higher value. Many kids have grown up in Forest Heights and attended school together. Friendships were formed that have lasted many years after graduating, going to college and starting careers and families of their own. As the city of Athens has grown, the trend has been for the newer neighborhoods to become progressively further away from town. This is typical in the majority of cities. Sometimes the older neighborhoods are forgotten, and then one day, someone realizes that the "classic" neighborhoods have many benefits that just can't be found in the more recently built areas. 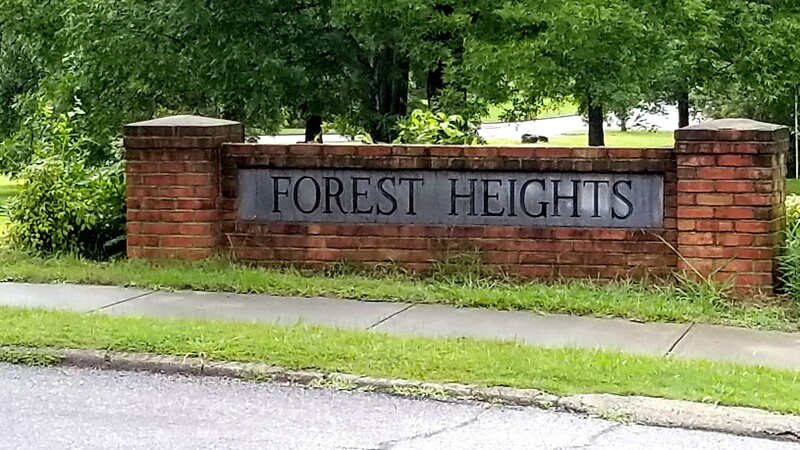 Of course, one of the top drivers of value in real estate is location, and Forest Heights certainly has that characteristic with an easy drive into town. In Athens, we often use the UGA Arch on Broad St. as a point of reference. From the arch to the entrance of Forest Heights is only 3 miles! And, with the back entrance/exit to the neighborhood located near the 10-Loop, it is also easy to bypass town when heading to other destinations. Location is not the only advantage though. Being closer into town, public utilities like water and sewer are part of the infrastructure, so you don't have the worries of wells and septic systems. And, the neighborhood was built with the wider streets that were more common in the past along with larger yards. That means more room between you and oncoming traffic and not feeling like you could reach out of your window and touch your neighbor's house. There is also a neighborhood swimming pool with optional membership...the Forest Heights/Hampton Park Swimming Pool! Of course, many people will desire the modern amenities that you can find in the newer houses, but with a little renovation, you can have the best of both worlds...convenience and modernization. If this sounds like a good fit for you, Forest Heights might just be the answer! However, there is pretty big demand for Forest Heights' homes. So, you'll need to be proactive about your search. If you depend on Zillow, Trulia, Realtor.com, etc., chances are that you will miss out to another buyer. At Southeast Realty Brokers, we have a method to move you to the front of the line. Get in touch with us now, and we'll put our system to work for you!